A home for most people will be the largest investment that they will ever have. So most people know the importance of taking the time to take care of it. Power washing your home can give your home instant life and curb appeal. Along with making your home’s appearance better, a power wash can also increase the value of your home. Pro Window Cleaning Finding offers power wash services that are affordable and timely. 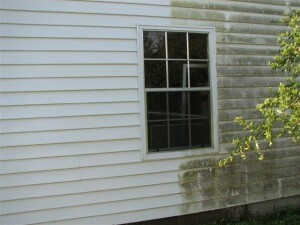 When we finish power washing your home it will be free of dirt, mold, and mildew which will cause rot and decay. Having these services done eliminates the risk of future repairs, renovations, and replacements of the building materials that make up your home. Prepare 55 gallons of degreaser at 160 degrees in a 12 volt sprayer tank. Pretreat all oil spots with hot degreaser at full strength 24 hours (whenever possible) before we start the power wash process. Pretreat the entire area to be power washed that day with degreaser running through the power washer at 180 degrees at 10 to 1 dilution ratio. Power wash the whole area with Twister surface cleaners. Check the oil spots and rewash with spray guns if necessary. Rinse with fire hose if available. If not, rinse with power washers while checking the oil spots. For large parking lots, we use 3 hot water machines and 3 surface cleaners. We work from the top down since dirty water runs downhill. We guarantee your satisfaction with every job. But you be the judge … contact us today for a free power wash demonstration 816-920-6943.